If you happen to be in Utah in the month of August, come see me at Deseret Book in downtown Salt Lake on Friday August 16th. I will be doing a print signing and painting demo. 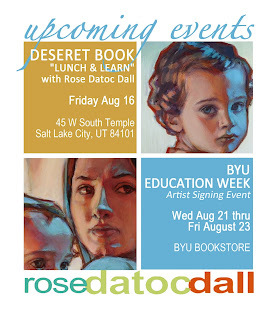 I will be in Provo at the BYU Bookstore for Education Week, also doing a print signing Wednesday August 21st thru Friday August 23rd. Come join me! Rose, I just found you on Pinterest. 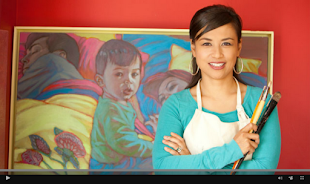 Your passion, artistic, and Spiritual vision is overwhelming. Bless your heart and your continued success on all levels. You have inspired me in so many ways today. Thank you for sharing your self in your work.